There will be the usual drop-jaw reaction from many regarding the price, and there’s no getting away from the fact that almost £500 for a driver is a deep gash to most people’s bank accounts. But TaylorMade are not the only brand pitching their new drivers at this price point, and they have one of the best clubs on the market. So you hardly expect them to come in under the market price, do you? They clearly sell at this cost, or they wouldn't do it. 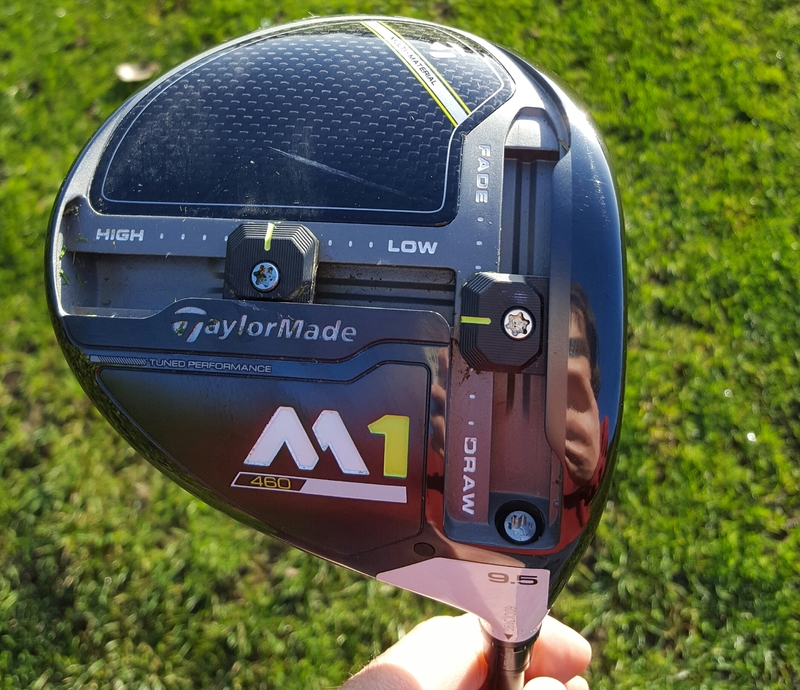 The 2017 M1 driver is instantly reconisable from the top – apart from if you are trying to separate it from the previous M1. In fact, they are almost identical. But we’re pleased they decided to stick, not twist. The fact remains that this is one of the best looking drivers in golf – ever. The Old Boys in the clubhouse may not like it, but they can stick to their plus-fours, wooden clubs and triple figure scorecards. It’s everything new golf kit kit should be – progressive, striking, and appearing ahead of its time. 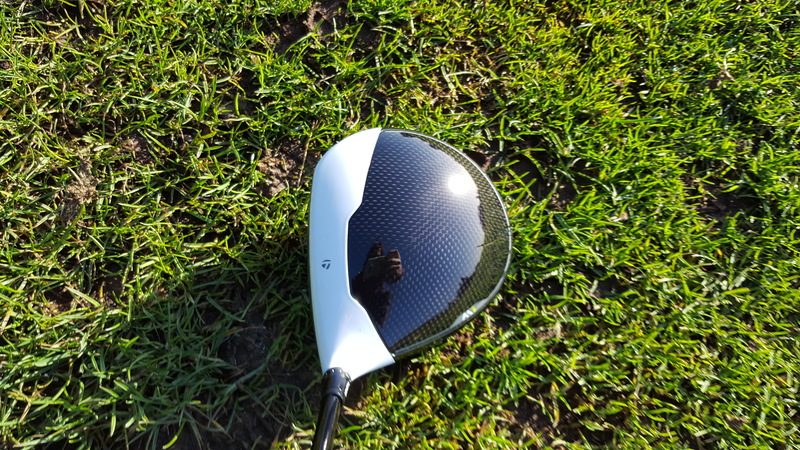 The 4% larger carbon crown is striking, and the black on white contrast has long been popular with the masses, helping us hackers line up down the centre of the fairway – if only we could hit it where we aim. The green splashes – what Nike would have branded “volt” – is fairly inoffensive. The red from last year is more appealing, but TaylorMade had to differentiate the products and lime green will do the trick in spades. There seems to have been some spring cleaning on the underside, with everything more flush and tidy in 2017. It’s a club you wipe and re-buff after every shot – and then marvel at. 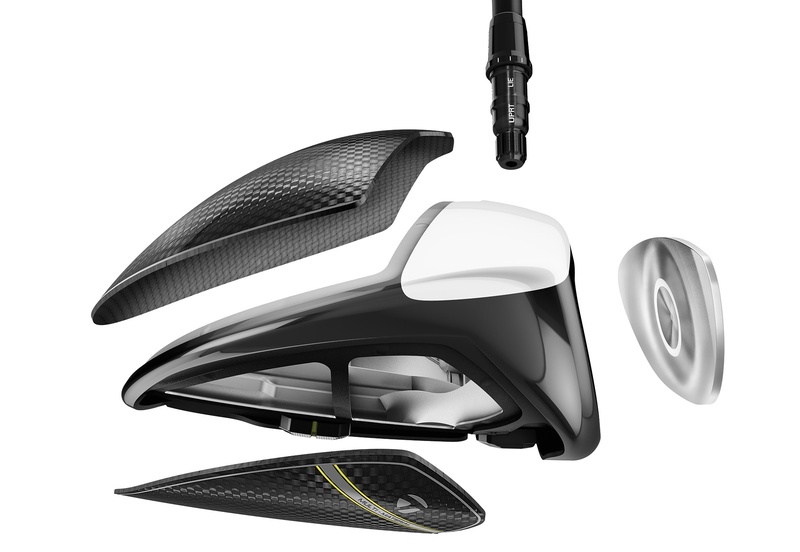 The area, alongside adjustability, in which TaylorMade has made its greatest advancement this year. The old M1 sounded and felt awesome – but the 2017 M1 goes up another gear. Surely there’s nowhere to go from here? We must have maxed out our senses by now. Any smoother and we'll never make it off the tee. The sound and feel is richer, deeper, a full orchestra compared to the old sextet. It’s less in your face, but more interesting. By no means quiet - just right. In the distance stakes there is minimal improvement – a couple of yards on most shots, and on occasion up to five. Swing and ball speeds were very similar to last year’s product, and spin rates are also only lower slightly. We did notice an increase in forgiveness, with feel and sound maintaining a high standard even on wildly off-centre hits. 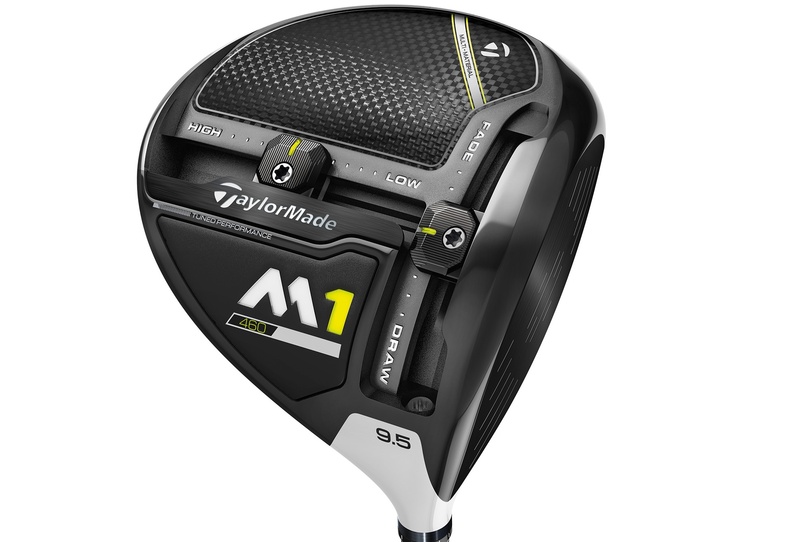 The thinner carbon crown adds to a weight saving of 11grams in the 2017 M1, affording TaylorMade some mass to play with. Where this is most pertinent is in the T-Track system, which tees up 27 grams of moveable weight – two grams more than the old M1. The 12 gram back-to-front and 15 gram toe-to-heel weight are housed in elongated sliders this year, allowing for greater bias in shot shape and launch. Undeniably, moving the weights around will change the shot shape and launch. Compared to other drivers on the market in 2017, we noticed the M1 was providing the biggest change regarding our numbers when we moved the weights around. Moving the weight to the back saw our sping rise over 4,000, while it was around 1,750 at the front. In the draw position we were getting up to 20 yards of movement. An area in which players can reap reward is in the confidence department regarding the weights - and as all golfers know this can be the difference between magic or tragic scores. For example, perennial slicers will be glad to know they have a club set up to aid a draw or those that struggle to get the ball into a soaring apex may put the weight in the rear. It’s a warm hand on the shoulder letting you know the club has got your back – but it can’t hit the shot for you. Loft is simple and easy to change – brands have that nailed now. The three stock shafts are Fujikura XLR8 Pro, Kuro Kage Silver Dual Core TiNi and the HZRDUS Yellow 65. It is important to get a fitting for the driver when purchasing, otherwise you will not unleash its full potential. It will allow fitters to get you set up with optimum settings, and also allow customers to try the different feels that come with changing the weight locations and adding different shafts. While distance only marginally increases, the sound and feel has matured in the 2017 M1, and adjustability has also improved. We also enjoyed more forgiveness, while the stunning aesthetics remain from yesteryear.